I knew we were in big trouble when the council finally got to the Consent Calendar after 8 p.m. - normally, that segment of the agenda would be addressed before 7:00. Before that, though, the foundation for the marathon meeting was laid when eighteen (18) people stepped up to speak during Public Comments. I'm not going to begin to cover every word spoken during that time, but I will give you a few highlights. 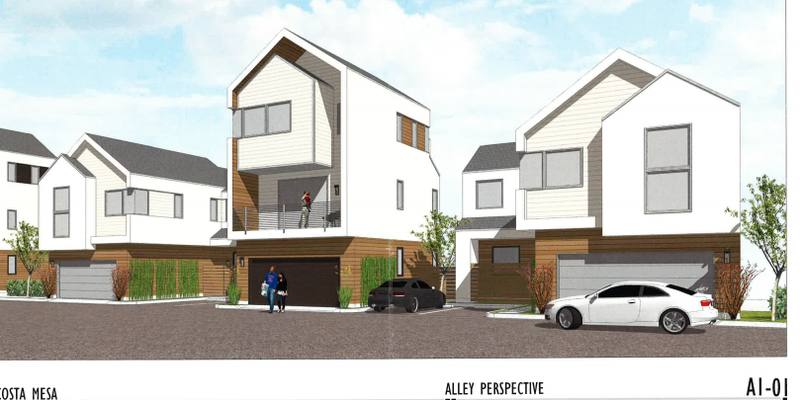 Several speakers complained about the recently-implemented resident-only parking rules implemented adjacent to 939 W. 19th Street. Director of Public Services Ernesto Munoz will investigate. Laurene Keane mentioned an outbreak of Parvo at the Dog Park. Janet Krochman complained about the proliferation of homeless people in business areas around town, and related recent personal experiences. Mary Spadoni wondered why the Solid Landings facility on 19th Street is still allowed to operate when both the Planning Commission and City Council upheld the appeal of the Zoning Administrators ruling. Wendy Leece also addressed that issue, and implied that there may be a double standard at work. 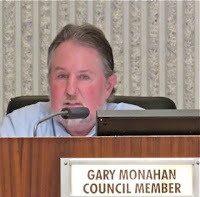 Another resident - he didn't give his name - spoke of a Facebook thread of more than 600 entries addressing homelessness... those in the know realized he was speaking of the Costa Mesa Not-So-Public-Square site, which is touted as "the place to be", but refuse to admit individuals who don't share their views on issues. 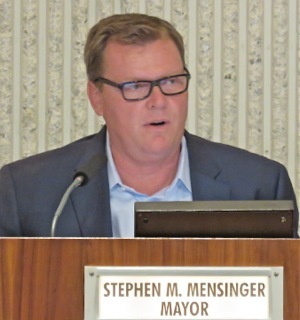 Interestingly, Mayor Steve Mensinger also addressed that thread... he's a frequent participant on the site. A coincidental note - one of the people responsible for the iron-handed administration of that site, Julie Mercurio, was in the audience during that part of the discussion, then left. Seemed to be an interesting bit of timing. The pastor of the Lighthouse church addressed their efforts on the homeless issue and others also chimed in on the subject. They were told that CEO Tom Hatch would address it during his comments. Public Comments ended at 6:38. Katrina Foley expressed concern about the Dog Park situation. She also, once again, asked when information about the Westside Overlays would be coming to the council, per her repeated requests. 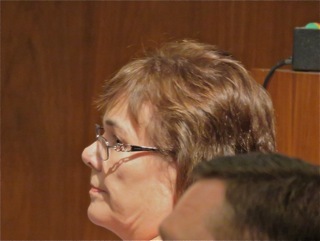 She also complained that her request for specifics about fireworks sales by each of the groups was quashed by Mayor Mensinger in a behind-the-scenes maneuver. She volunteered that the Costa Mesa High School Football Boosters made only $14,000 for the five days they sold fireworks, but that they made over $8,000 selling parking spaces for the Fair at CMHS. She said the council needs the full picture. She also wondered about a progress report from Mesa Water on conservation efforts. She also expressed concern about the Homelessness issue and crime that might be associated with it. 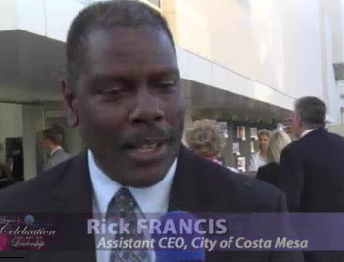 Sandra Genis thanked the Costa Mesa Foundation for the latest series of Concerts In The Park. She also commented on the Eastside Picnic, which she described as a nice event. 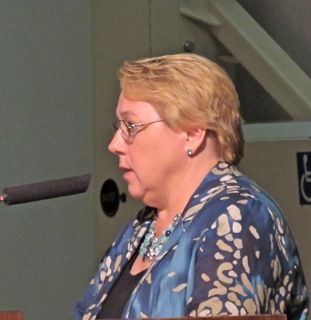 She addressed the Bark Park issue and suggested keeping inoculations up to date. She also addressed homelessness, citing an increase in folks with chemical dependency and the lack of transitional housing. She spoke about the pending availability of the Fairview Developmental Center property, the apparent proliferation of marauding youths along 17th Street snatching purses and the shortage of police officers. She also expressed concern about the overlays and that her understanding was that there was to be a report back as to how the process was proceeding, but instead, new projects were moving forward at break-neck speed. 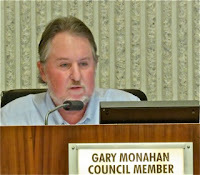 Gary Monahan, for a change, actually had something to say! He made a passing comment about the Eastside picnic - he didn't attend, then touted the Hi Time Liquor Chili Cook-off, which he said was attended by a couple thousand people and it was a huge success. He said it raised money for the Boys and Girls Clubs of Orange County and "some of that money" would be used at our local clubs. He also addressed the Fairview Developmental Center, indicating that the State was moving forward. He spoke about homelessness, then went off for a few minutes about Fireworks, and what a "huge fundraiser" it was for youth groups. He also said how much money they made was nobody's business. He said the overlays were doing exactly what we want them to do. He said they were "phenomenal" - that's the latest buzz word up on the dais these days. Everything is phenomenal. Oh, yes.. thanks for the shout-out, Gary... yes, we knew you had a lot to say last night. 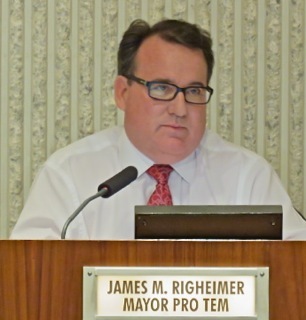 Then came Mayor Pro Tem Jim Righeimer's turn - it was now 7:05 p.m - past the time Public Hearings were supposed to begin by policy. Twenty minutes later Righeimer finally stopped talking! He spoke about motels and group homes, and said "we're just not here to help everybody." He talked about crime and mentioned AB 109 and motels. He then said the next General Plan update is going to address motels by rezoning properties to make it easier for owners to sell them. Again, for a guy who gripes about attracting businesses, he's sure eager to force some of them out of business. He addressed Fireworks, and asked Hatch for a report on the gross revenue from all 36 booths. He wanted to know how that money Foley mentioned from the CMHS Fair parking would be split up. He addressed the overlays, and mentioned the millions developers were spending to clean up former industrial properties so they could build on them. He addressed parking, reminding folks that the first place they should be looking for parking is in their garages - giving a backhand to those folks from West 19th Street who took the time to speak in that important issue. He addressed homelessness. At one point he mentioned having read enough about fancy fundraisers put on by wealthy folks from south county who then just go home. He said they "should take the people with you." Ever the class act. 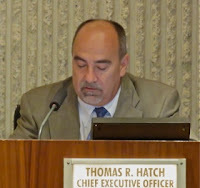 At 7:22 Hatch took over and spoke about the National Night Out, which was being held at that time. He spoke about the good work done by all on the Special Olympics and showed a video created by the folks at CMTV. He briefly addressed parking, then deferred to Gary Armstrong, Director of Economic and Development Services on a few issues. He asked about the Solid Landings situation and we were told that Code Enforcement was working now on citations. He asked about the overlays and we were told that there will be a workshop with the Planning Commission on September 8th. On the issue of the Fairview Developmental Center he said the State is generating an RFP for something called Shannon's Mountain, that might occupy the south corner of the center property, and that the closure of the center is a long process - probably taking until 2018. It was suggested that a General Plan designation for that area needs to be addressed. Hatch then addressed the Bark Park, indicating it was one of the most heavily-used in the county and that we probably need a second one somewhere in the city. Foley chimed in that we just needed some maintenance done - tree and bench replacement, etc., to which Mensinger said we could do interim improvements and suggested to Hatch that it be fast-tracked. Hatch addressed the homeless issue by giving a brief history, spoke about the new Park Ranger position on the agenda and bike patrols, then turned it over to Assistant CEO Rick Francis and Police Chief Rob Sharpnack to address specifics. Francis expanded the history lesson, spoke of the Homeless Task Force and how evolved into the Network for Homeless Solutions. He mentioned that more than 5,000 hours had been spent by that group working on solutions, including finding housing for 88 people and relocating others. He estimated that there may be 150 homeless in the City - some might argue that number is too low. He spoke about the proliferation of drugs on the street, including heroin most recently. He spoke about a program to train mentors for the homeless and expressed disappointment in the County for it's inability to make more progress. He also said there are "a whole ton" of homeless who don't want any help. Sharpnack gave a summary from a policing standpoint, mentioned that the CMPD is a proactive department, not a reactive department. That doesn't really coincide with what has been the most recent understanding of their operations. He said they are working hard to get back to full staff, and that they are now at 111, with 25 vacancies. I'm not sure that number is actual boots on the ground, since we have more than 10 officers out with injuries. The actual number of officers ready for duty is closer to 100. He told us we recently hired three more bodies - all headed to the police academy, so they won't be available for duty for several months. He told us we have 15 Field Training Officers so we can't overload them, but that we're moving full steam ahead. He said his immediate goals are to rebuild the department; address crime statistics and maintain superb service. He went on to give is a long, long list of things the department is doing, including making sure officers are visible in high crime areas. He spoke of the bike patrols, overtime, park rangers, overtime for undercover purposes, the Westside police substation restoration, Prop. 47 and AB 109 impacts and much more. 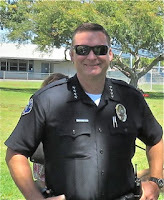 In response to that presentation Mensinger thanked Sharpnack for taking his "early morning texts", which we presume means that he's texting the chief during his walks around town in the early hours, reporting perceived crime issues. Yet another example of the micro-managing of this city by Mensinger and Righeimer. It's no wonder cops have left in droves! Monahan wondered about mental health training for the police and was told that a social worker frequently rides with our officers to provide insights. He also thanked Francis and the entire team who has been working on the homelessness issue for several years. Francis suggested using the Costa Mesa Connect App, which will soon be enhanced to make reporting that kind of thing easier. On that issue, Foley urged GREAT caution about taking photos of homeless folks with the app. Righeimer told Francis and Sharpnack that they have "our support 1000%". And that ended Hatch's report - at 8:12 p.m.!!! Nobody pulled anything from the Consent Calendar, so it passed in one vote, then Mensinger called for a short break. It's a good thing, because as it was going to turn out, we still had SIX HOURS to go! Public Hearing #1, the discussion of the new policy on Park Impact In Lieu Fees for Apartment developments began at 8:20 - 100 minutes later than it should have. The council approved a modification of the staff recommendation. In the interest of saving some time, please read Bradley Zint's excellent coverage of this issue in the Daily Pilot, HERE. This discussion took 90 minutes and saw eight people speak to it, including representatives of developers and Apartment Associations. Public Hearing #2, the appeal of the Planning Commission decision on a Pawn Shop on Newport Boulevard, began at 9:52 p.m. The smooth-talking owners made the same pitch they made to the Planning Commission. 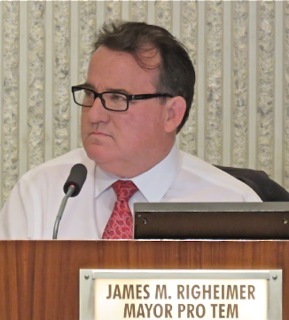 After an hour of discussion and hearing from five people on the issue, Righeimer moved to uphold the Planning Commission decision, with Mensinger seconding it. Monahan made a substitute motion to grant the appellants request except for the signage issue. Foley seconded it. The vote failed, 2-3, and the original vote passed, 3-2, with Monahan and Foley voting no. THE FARMER'S MARKET - THE BIGGIE! 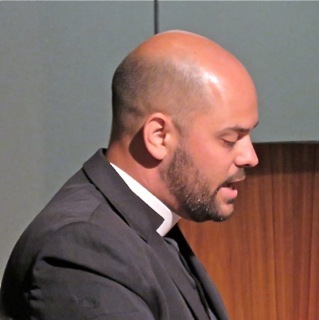 At 11:00 we began Public Hearing #3, the appeal of the Planning Commission decision on a Farmer's Market at the St. John the Divine Episcopal Church on Bay Street at Orange Avenue. This promised to be a long one... and it was. Planner Antonio Gardea gave the history of the issue, then appellant, resident Carrie Renfro, took over and began her lengthy, detailed presentation. She avoided the emotional side of the argument, pointing out that the approval of the request as made would violate the original conditions of approval for St. John's Manor - the Senior Housing project contiguous with the Church. She and her team had done an exhaustive investigation and provided impressive details to make their points. The issues were the park that was created as an open space for the development plus parking issues. "I PAID 1200 BUCKS FOR THIS TIME, BABY!" 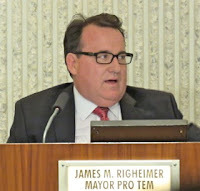 During her presentation, despite the fact that she had asked the council to permit her to make her entire presentation before asking questions, Righeimer interrupted her not once, not twice but three times! This is a tactic we've seen him use many times. He interrupts a speaker to throw them off their pace and, more often than not, he succeeds. He did so last night. 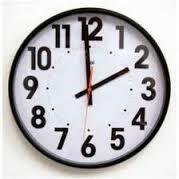 The last time he interrupted her was at 11:53, when he said, "How much longer is this going to go on? ", to which a frustrated Renfro barked back, "As long as it takes - I paid $1200 bucks for this time, baby!" At that point, because midnight was rapidly approaching, the council moved to extend the discussion past midnight, which passed, 4-1 - Righeimer, in a fit of pique, voted NO. They also agreed to "continue" several items that remained on the agenda - those that were not time-sensitive. Then they continued. PASTOR PHIL AND 30 SPEAKERS! Pastor Phil DeVaul made his pitch for the project, covering many of the issues Renfro had made. Then began the parade of thirty (30) speakers on this issue. I'm not going to begin to cover all their statements, but sixteen (16) were in favor of the project and fourteen (14) were opposed. The public comments stopped at 12:55 a.m.
After about twenty minutes of discussion Righeimer moved to uphold the Planning Commission's decision and, after a very long pause, Mensinger finally seconded it. In order, Monahan, Foley and Genis indicated they would not be supporting the issue. They agreed it was a nice idea, but in the wrong place. There were complicating issues for each of them. Genis, for example, was apparently swayed by the opinions of nearby neighbors - those most impacted by the perceived traffic that would be part of this project. 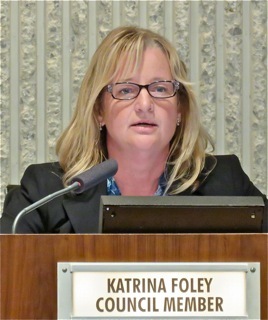 Foley's decision was affected by the new revelation that there was an expansion of the entire facility in the works and she felt this project should be considered as part of the larger project and not handled piecemeal. Mensinger then withdrew his second and, after some stumbling around, moved to overturn the Planning Commission decision, which passed, 5-0. At 1:35 the council quickly dispatched Old Business #1, the re-zoning of the church property on Mesa Verde Drive East to make way for a 10-unit residential development. It took about 20 seconds. The final item they heard was New Business #1, the screening plan for a development at 527/531 Bernard Street, in an overlay zone. Three people spoke to this issue, including Jay Humphrey, who noted that this would be one more underparked project in the city. They finished this issue at 2:04 and adjourned at 2:05. The items NOT heard last night/this morning were Public Hearing #4, the first reading of the Capital Asset Needs Ordinance; New Business #2, Council Direction for the Allocation of the Matt Leinart Flag Football payback fees; New Business #3, the refund request for Ann Parker's appeal of the Solid Landings issue and New Business #4, designation of a voting delegate and alternate for the 2015 League of California Cities Annual Conference. 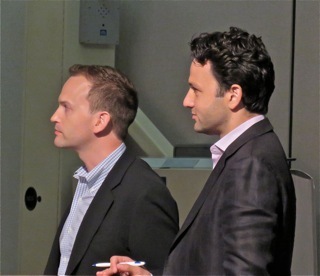 An observation... the biggest culprit in this marathon meeting was Jim Righeimer. He just cannot resist yapping away, saying the same thing over and over again, meeting after meeting. If he was an member of the public he could be tossed out because he helped create a rule that prohibits serial commenting! And his arrogant rudeness was on display for all to see last night as he continued to interrupt Carrie Renfro - a person clearly not experienced speaking to an official body in a formal setting. His actions were those of a bully and certainly unbecoming any elected official. We deserve much, much better from him. There are no more council meetings scheduled this month. The next one is scheduled right after the Labor Day holiday. Perhaps I will sleep right through until then! Regarding parking in one's garage: hopefully the Mayor will be able to do so in his rebuilt, two-story house on the golf course, because he couldn't fit that big white truck in the old garage and parked it on the street. Also find it strange that the minute they started tearing down his house, work started up on the vacant lot across the street from him after it sat empty for at least 18 months. Surely a coincidence, but still strange. One more thing...how come he gets to hook right up to fire hydrant across the street for the water to grade the property, instead of hiring a water truck? Are we footing the bill for that? Something's out of sync between the planning commission and the council. Maybe the marionette strings got tangled. Or maybe when Jim said to approve everything, he forgot to say approve everything that comes from a real estate developer. Everyone is free to join Costa Mesa Public Square, but you have to play nice. There are plenty of people on there with opposing viewpoints. That, of course, is a lie... but I let you post it here anyhow. 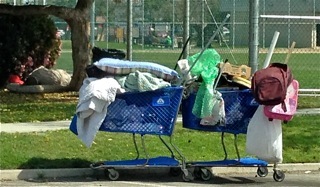 "Everyone" is NOT free to post on the Costa Mesa Not-So-Public-Square. And, apparently, their - your? - definition of playing nice is to not offer an opposing viewpoint anywhere because members troll other sites and report back to Julie, etal, who then oust the "offending" commenter. If you feel my view is in error, please feel free to inquire of the the Mistress of Mischief at the CMPS. As you know, I was member #1 when Bruce Krochman launched that site. I bailed out after the threads dominated my Facebook page, choosing instead to just sit and read it. Then the game changed and one must be blessed with membership to observe the action. As always, if you wish to have this discussion privately, you know how to reach me. were excited at the possibility of permit parking. park out front and not in the neighborhood behind us. Geoff, you are correct about Righeimer being a bully. I'll go one step further and call him a PIG. Is acts like an absolute fool. No class whatsoever. On the other hand, I thought Ms. Renfro did an excellent job of staying on the subject even with his rude behavior. 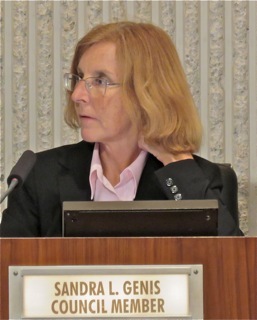 She presented a concise, clear and to the point presentation. It was clear that Rig and Mensy were not happy at losing. Of course, Gary's landlord is in direct competition with a nearby farmers market. So Gary thinks its nobodys' business how much money OUR schools are raising? I disagree. They are not private entities, they are our schools. Why should it be a secret? Is there money going someplace it shouldn't? That question needs to be asked with this bunch. A note to CM Resident: No, not everyone is able to join. If you are known to have an opposing view of the majority, you will not be authorized to join. I used to read Costa Mesa Public Square because I like to get a sense of how people see tings differently. I never posted. Now I can't read without joining. Not very public.